Jeanene Van Zandt lavished us with gifts when part of Team MCN paid her a visit this month at her Tennessee home some 25 miles south of Nashville. One of the items was a sealed copy of a documentary that came out in 2004 called Be Here To Love Me: A Film About Townes Van Zandt. The movie about her enigmatic husband - the songwriter's songwriter, the late, great Townes Van Zandt - left as many questions as it answered about this troubled musician who met his tragic demise at the age of 52 in 1997. 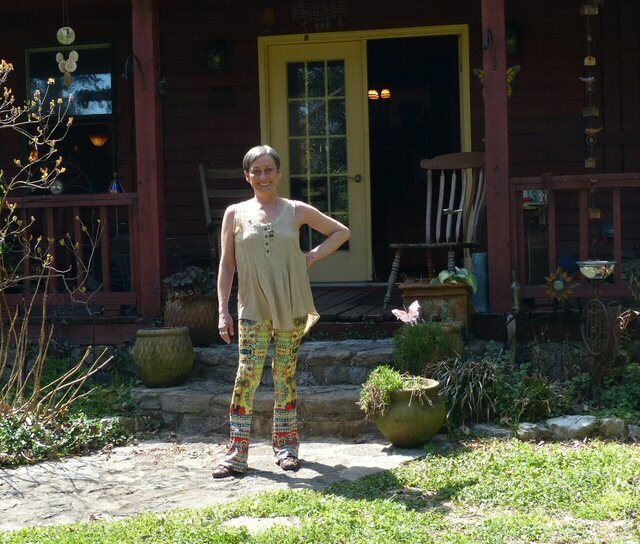 Jeanene Van Zandt outside of her Tennessee home in 2018. The DVD is a tough yet informative watch. It documents the legend's last days in painful detail just as his lovely and kind widow did when we met with Jeanene for 90 minutes in the cozy confines of her Rutherford County house with it's warm wood tones and walls adorned with paintings, photos and posters of Townes. 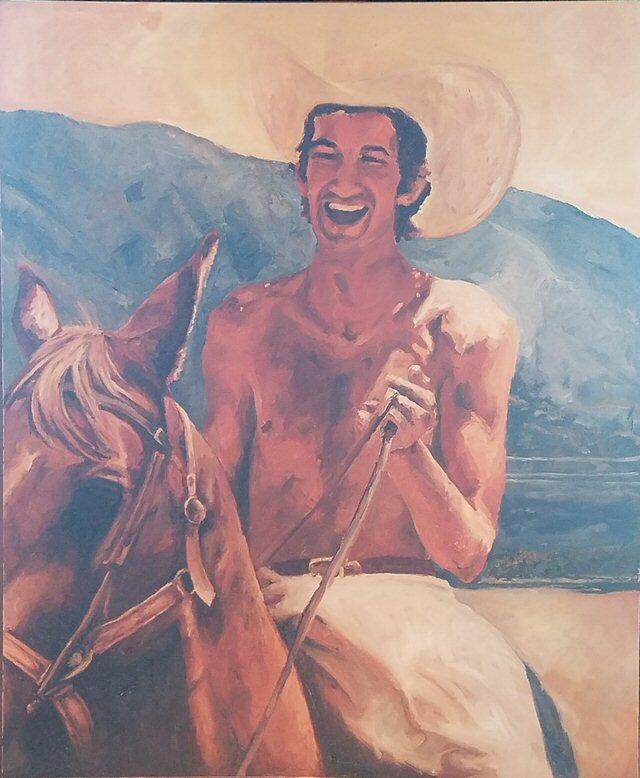 Even twenty one years after the death of Townes, JVZ still glows with pride as she talks about the influential songwriter who looms large in her living room in the form of a striking painting called "Townes and Amigo" by artist John Tierdo. Her devotion and dedication to the good looking man from Texas still brought her to tears as she played us the last song Townes ever recorded. Late in life anticipated sessions with Steve Shelley - the drummer from Sonic Youth - ended abruptly as TVZ was mostly incapacitated and wheelchair bound from a drinking related hip injury. This malady was more serious than it may have seemed and Townes saw to it that he was checked out of the hospital early to avoid the effects of detox - the unpleasantness of drying out that he had become too familiar with over the years. TVZ had been recently on tour in Germany and had brought home medication labeled in that country's native language. Thinking he was taking Ibuprofen Townes swallowed three pills to ease his pain. Jeanene revealed that a misread off the label actually led to an accidental overdose of antihistamines that caused his heart to fail on that unhappy New Year's Day. "Townes and Amigo" - Oil on Canvas by John Tierdo. She may hail from Corpus Christi, Texas but for Jeanene Van Zandt - her life's work has entailed looking after the massive body of work produced by her husband TVZ. For her - his music maintains all the special qualities that made her fall in love with him when a voice told her that he was "the one". "He's magic. I think (his music) has healing powers," Jeanene remarked concerning the output of her former husband whose songs have been covered by the likes of Willie Nelson, Emmylou Harris and the Cowboy Junkies. "I think they should put it in all the prisons, hospitals and mental institutions." "The reason he wrote songs," Jeanene continued revealing that Townes told her that one day God put his hand on his shoulders and said, "write these songs, son. So, I did." "He had two or three gospel tunes that I took to Music Row," JVZ said of Townes who unlike Elvis and Johnny Cash did not have a strong undercurrent of religious themes in his music. But, he was a spiritual man raised in a Baptist church by a black nanny named Francis. "I think that was the beginning of his love of music." Also explained during the DVD was that Townes benefited from an upscale Fort Worth upbringing. As a young man he was treated with insulin shock therapy that erased much of his long-term memory. Many of his troubles later in life would stem from this fact and fearful loss of self and personal identity. Jeanene has led the effort to keep his memory alive more than two decades since his passing buoyantly saying that it was her job to do so. More scenes from our day to the house that Townes once lived in. During our visit the bubbly and energetic Jeanene lit a cigarette and began to tell us how she hosted a three day tribute music festival in honor of Townes in 1998 - the year after his death. A stage painted by her son still stands as a testament to that now local legendary event. Since that time JVZ has fully taken the reigns on guiding the legacy of her late husband by recouping much of the artist's publishing and catalogue. 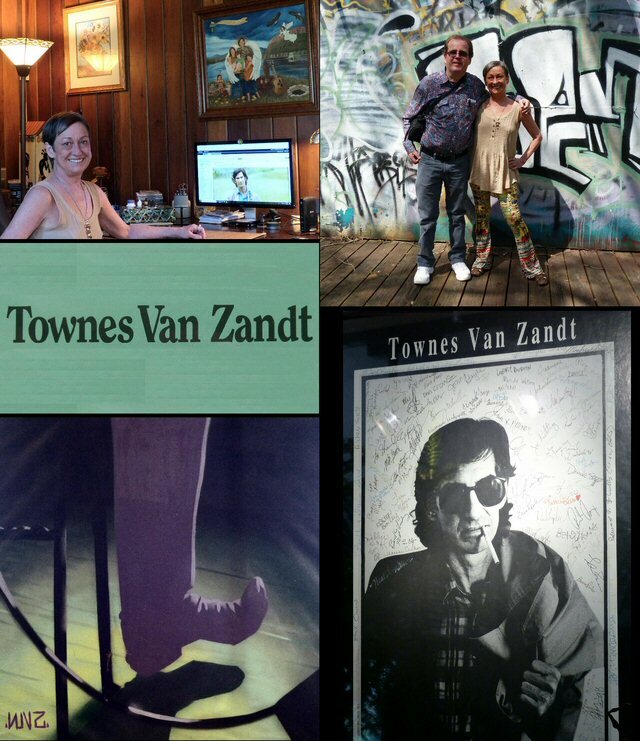 She reports that both her store front, the Offical Website for TownesVanZandt.com and Fat Possum Records who administer many of the recordings - will mark the anniversary of his debut album with special releases this year. The latter is an Alabama based label who are putting together a TVZ "Greatest Hits" based around the earlier recordings to commemorate 50 since the release of For the Sake of the Song. It can be argued that the legacy and life of Townes Van Zandt is just as important to the region as were those of Johnny Cash and Elvis. In many ways though, the story of Townes Van Zandt, is more similar to that of rocker Jim Morrison. They both had early advantages and acclaimed music careers. Yet, both stubbornly barreled to their demise tied to an addiction they were unable or unwilling to quit. Townes just lasted a little longer to pen and record more songs than the lizard king did. Like friend and associate Guy Clark said on the film while at the funeral service for TVZ - he had booked that gig thirty years prior. They all saw it coming. Thankfully, Jeannene Van Zandt is doing everything she can to keep his memory and music alive. 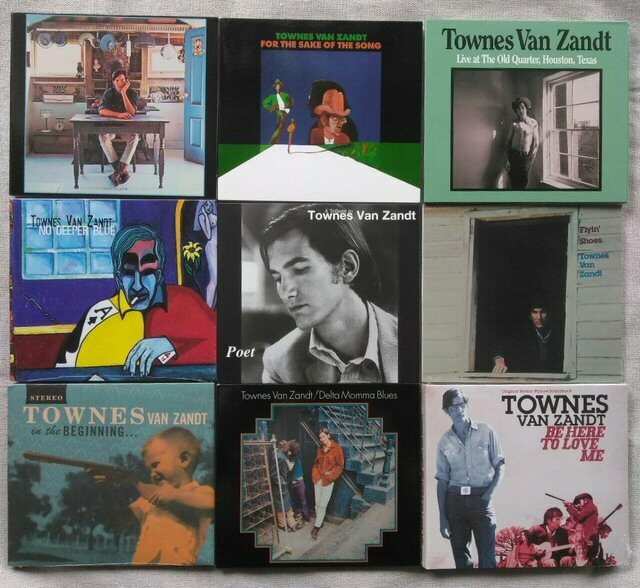 The good news is that there is more Townes Van Zandt coming. Both in this celebratory year of 2018 and from future forays into the vaults that JVZ assured us was packed with many yet to be heard live recordings. A portion of the TVZ catalogue that we brought home to our Nashville office.